When there are multiple people involved, there are bound to be conflicts. I have yet to encounter a project that doesn’t require the project manager to conduct conflict resolution sessions. As a matter of fact, beyond project management, conflicts are also rife. In virtually all aspects of life, such as within families and friend circles, conflicts either exist or have the potential of existing. Before we look into the conflict resolution tips mentioned in the PMBOK version 4, let’s understand why conflicts exist and why they are important. Conflicts are usually taken in a negative connotation. This is inaccurate as conflicts are necessary for healthy relationships. It all depends on the approach you use to resolve the conflict. If the conflict resolution technique is not optimal, then it’ll begin impacting other parts of the project. If the conflict is ignored, the situation will simply get worse. 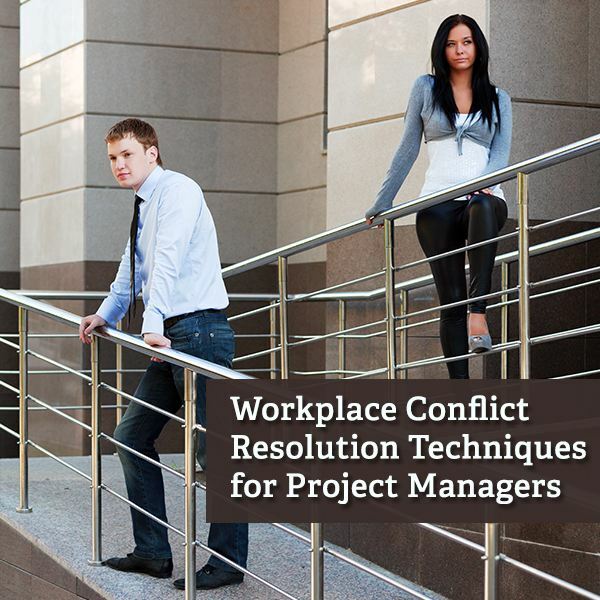 Conflict resolution is a primary project management soft skill for Project Managers who are leading a team. The conflict resolution techniques and conflict resolution tips discussed in this article will not only help you in your PMP certification, but also in your daily project life. Problem Solving: Involves the use of logical thinking to understand the problem. In this conflict resolution technique, you will need to understand the view point of all conflicting parties. The problem-solving technique is the best for conflict resolution. It also helps in developing trust in the team, since each party collaboratively tries to explore possible solutions. By using the problem-solving technique, you can achieve a win-win situation for all conflicting parties. Compromise: This technique involves reaching an agreement by each of the conflicting parties giving something. Therefore, both parties don’t get exactly what they want. Hence, compromise is sometimes also known as a lose-lose solution. However, in some cultures compromise is perceived as a win-win solution. These cultures, such as Asian and African, value the relationship between the parties more than the outcome. Compromise is very useful when you have not succeeded with the problem-solving conflict resolution technique. Note that humans do not compromise on values and basic needs. Forcing: Forcing, a win-lose situation, involves using your authority or power to decide on the outcome of a conflict regardless of the opinion of the participants. In project management, forcing can lead to low morale and low ownership. However, forcing is very useful when you need to resolve a conflict in the shortest possible time. If you use forcing, make sure you discuss the reasoning with the team at a later team meeting, such as in the Daily Team Meeting. You can also use the Daily Team Meeting to gauge the morale of the team. Smoothing: This conflict resolution technique involves playing down the issue. The key focus is simply on the positive aspects. By using the Smoothing technique, a party would not confront the issue; rather the party will treat the problem like it never exists. Avoid using this conflict resolution technique. Withdrawal: This technique is actually not a conflict resolution technique. Withdrawal simply means to avoid the problem altogether. It is an escapist’s approach to conflicts. Though it doesn’t solve the problem, Withdrawal is useful when there is a heated conflict resolution session on and all parties need some time out to gather their senses. Conflicts are one of the reasons that lead to project management failure. Read the Avoid Project Management Failures article for more reasons. Encourage participants to discuss the situation in a respectful manner. Don’t pressure participants to agree, rather to collaboratively reach an agreement. Understand culture induced behaviors; this is especially true for geographically dispersed teams. For example, in IT Software Project Management it is quite common for teams to be spread over multiple locations. Read other key points for IT Software Project Management here. Ask probing questions to understand the problem. To learn how to apply these conflict resolution techniques, read Different Conflict Management Styles: Which Works Best When?. The article poses a conversation and then illustrates what could happen if you apply these conflcit resolution tips and techniques.